What Your Cravings Are Telling You! Are you craving some weird and not so healthy things since being pregnant? Although this is perfectly normal and very common, certain cravings can indicate a possible nutritional deficiency. Cravings can also be a consequence of having unbalanced blood sugar levels and being fatigued. 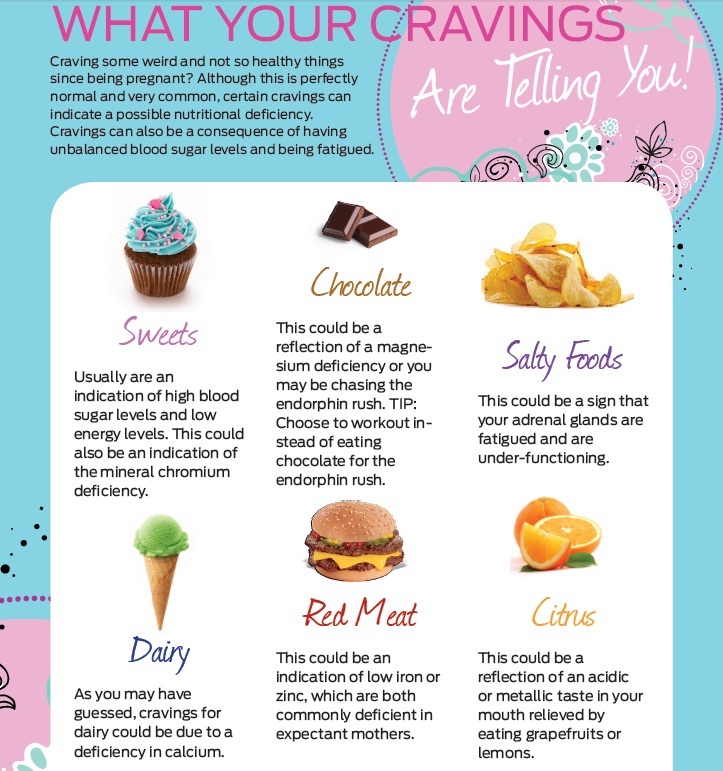 Check out the image below and find out what certain cravings really mean. This is just one of the 250+ pages of the "All Belly Pregnancy - Workout and Nutritional Guide for Pregnant Women". This information was taken from the FIRST and ONLY Step-by-Step Exercise, Nutrition & Supplement Guide that is highly specific to all three trimesters. Click here to read more about this great product.